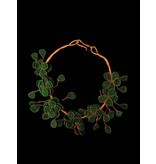 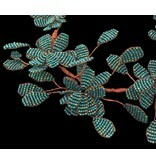 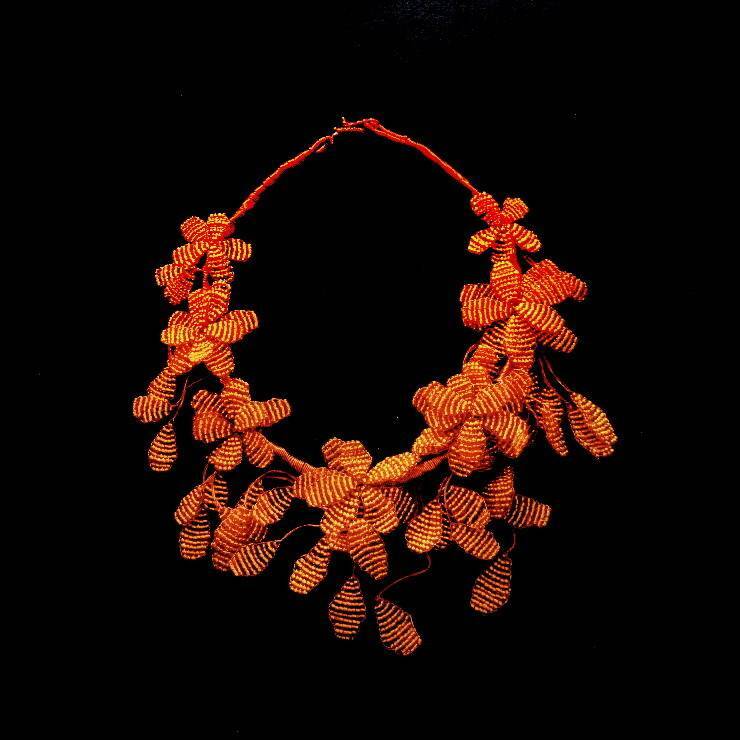 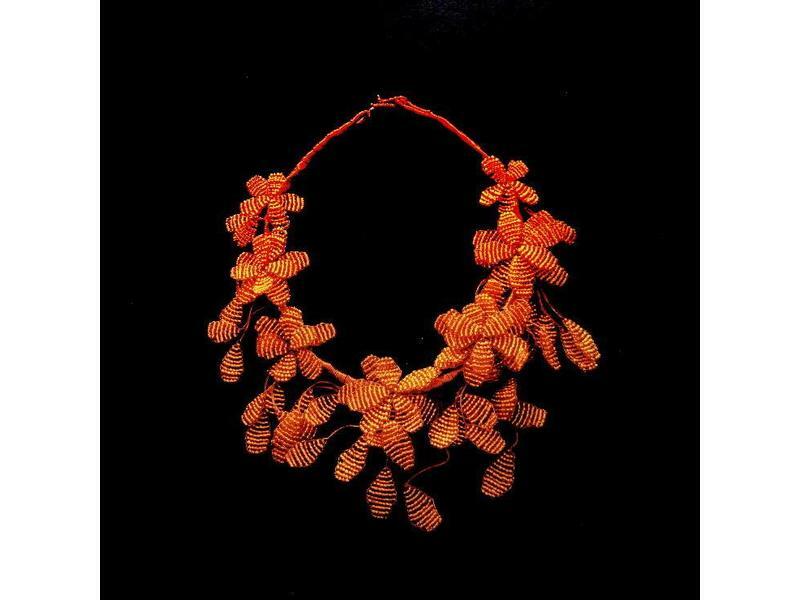 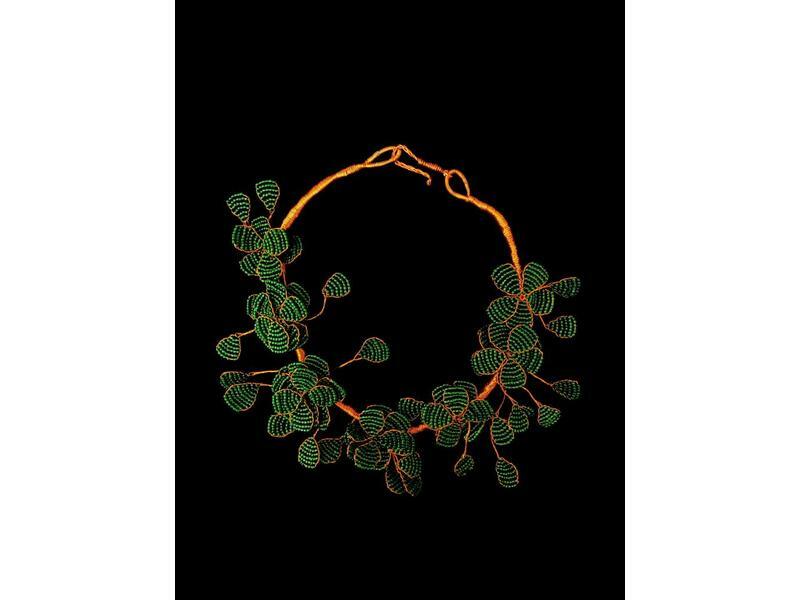 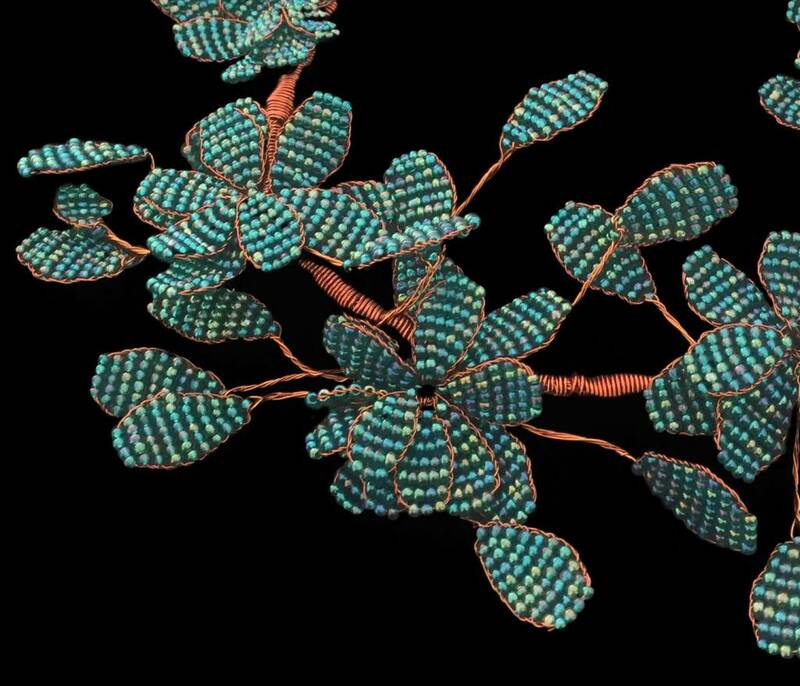 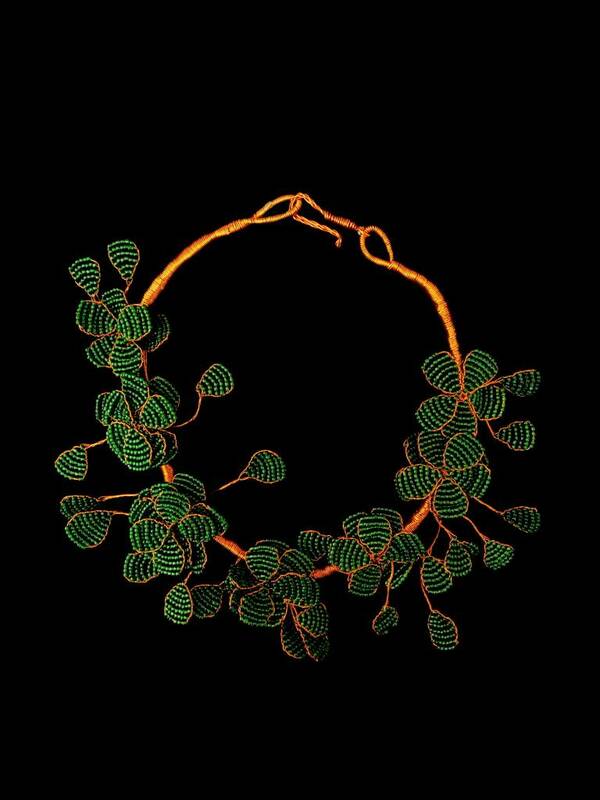 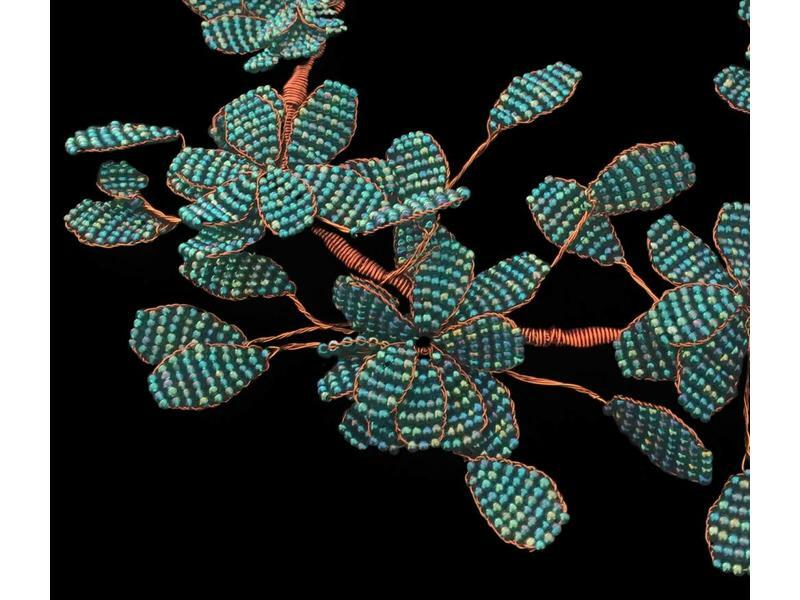 Worthy of a Palmyran Queen, after which this necklace is named, glass beads are intricately worked into leaves and flowers and delicately assembled with copper wire. 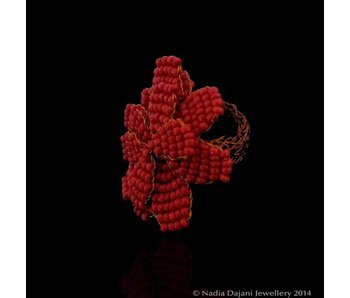 Made by hand by our skilled artisans, each piece may vary slightly, making it all the more unique. 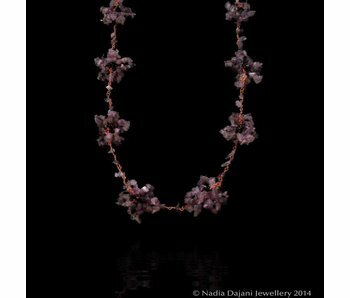 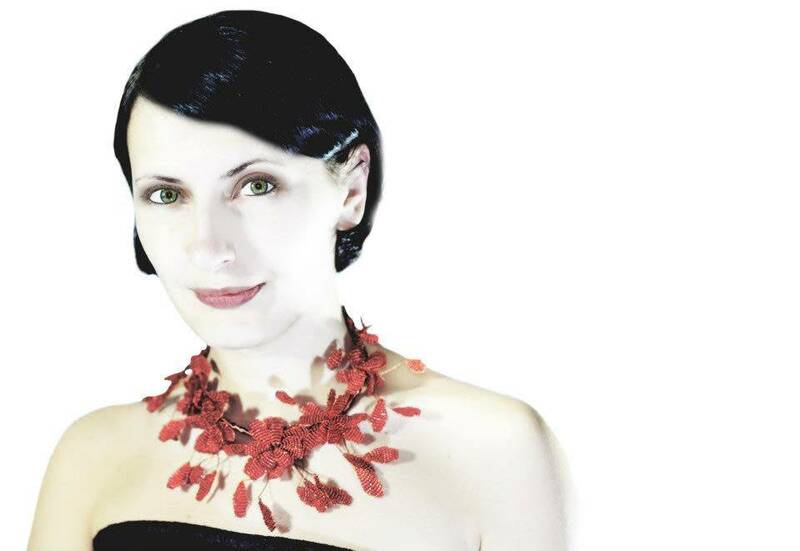 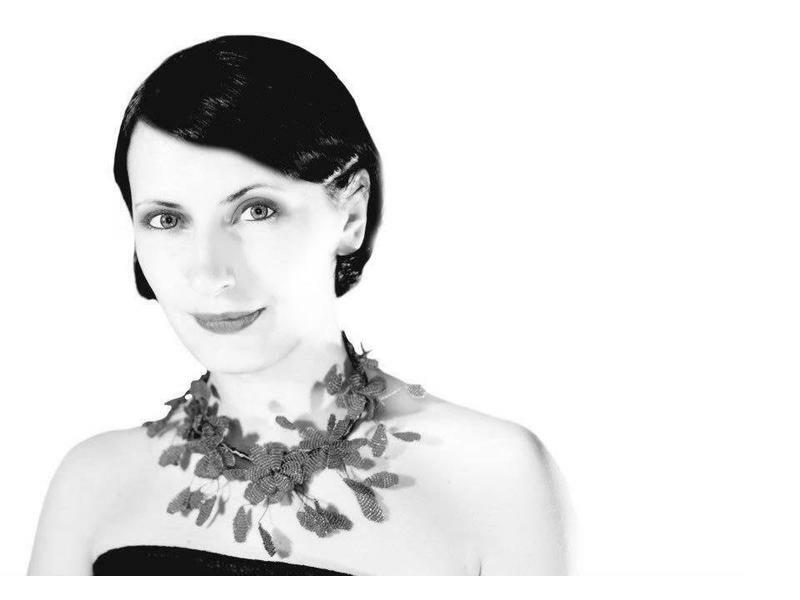 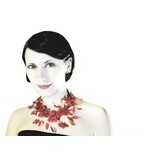 This necklace was featured in the theatrical production PETRA ROCKS by the Performing Arts Centre, which premiered in Amman in October 2009 in the presence of HM King Abdullah II.